The New York Times and internationally bestselling love story from Nicola Yoon, author of Everything, Everything - now a film starring Amandla Stenberg and Nick Robinson, in cinemas this summerNatasha: I'm a girl who believes in science and facts. The New York Times and internationally bestselling love story from Nicola Yoon, author of Everything, Everything - now a film starring Amandla Stenberg and Nick Robinson, in cinemas this summer Natasha: I'm a girl who believes in science and facts. Not fate. Not destiny. Or dreams that will never come true. I'm definitely not the kind of girl who meets a cute boy on a crowded New York City street and falls in love with him. Not when my family is twelve hours away from being deported to Jamaica. Falling in love with him won't be my story. Daniel: I've always been the good son, the good student, living up to my parents' high expectations. Never the poet. Or the dreamer. But when I see her, I forget about all that. Something about Natasha makes me think that fate has something much more extraordinary in store-for both of us. The Universe: Every moment in our lives has brought us to this single moment. A million futures lie before us. Which one will come true? 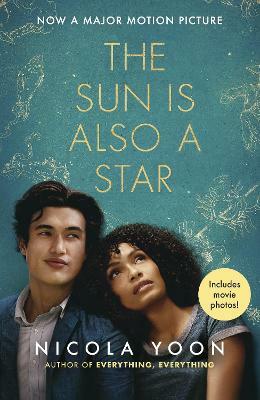 Nicola Yoon is the number one New York Times bestselling author of Everything, Everything. She grew up in Jamaica and Brooklyn and currently lives in Los Angeles with her husband and daughter. She's also a hopeless romantic who firmly believes that you can fall in love in an instant and that it can last forever. Follow Nicola Yoon on Instagram and Tumblr and @NicolaYoon on Twitter.